ICYMI, Paul Rudd is trending, well, everywhere right now. Why? Because apparently, today is the Avengers: Endgame star’s birthday — a fact you’d never be able to tell by his forever-fresh face. But, in fact, Rudd just turned 50. Understandably, the internet (present company included) is dubious, considering this whole-snack-of-a-man doesn’t look a day over Clueless. This isn’t the first time Rudd’s static appearance has made headlines, of course. Only one week ago, he and his fellow Clueless co-stars enjoyed a mini-reunion that created major buzz. Not surprisingly, much of that buzz centered on Rudd’s secret to eternal youth — for which Breckin Meyer offered up a hilarious explanation involving Rudd spending his downtime stealing the lifeblood of babies. However, there’s something about the actor’s age this year that has fans in a state of utter disbelief. Twitter especially seemed to have a difficult time wrapping its collective head around the information, with users reacting dramatically to Rudd’s annual day-of-birth celebration. And, as is the Twitter way, they didn’t hold back their feelings (read: histrionics) over the fact that Rudd is now *allegedly* 50 years old. From conspiracy theories to side-by-side comparison photos to straightforward appreciation posts, the Twittersphere left nary a stone unturned in discussing Rudd’s age. Paul Rudd is actually a real life @Avengers , he has the ability to reverse the aging process. Don't know how he can use that in battle but he'll figure it out. 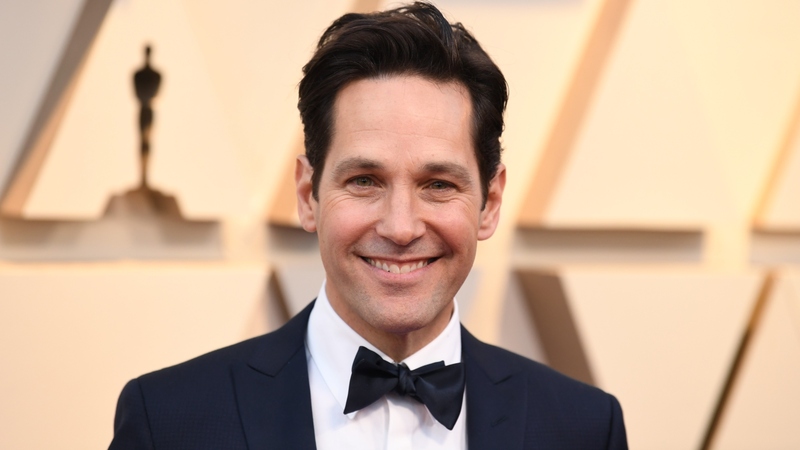 Paul Rudd turned 50 today, he doesn’t look a day over 35. Where do I sell for my soul for eternal youth ? And although we love a solid “bathing in the blood of innocents to achieve immortality” theory, we’re pretty partial to another possibility — eternal youth is the reward for being so damn unproblematic. Well played, Rudd. Well played.